Veiw or download a larger chart, click here. Download the complete set of charts, click here. 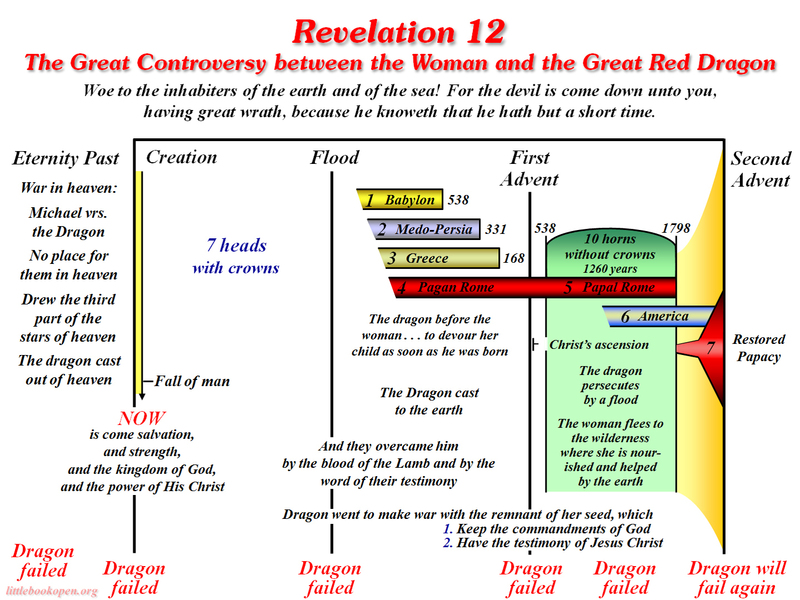 There are client-side "hotspots" on this chart which lead to commentary in The Prophecies of Daniel and the Revelation by Uriah Smith. Below are the same links with additional links marked "FS" (Further Study) which lead to this commentary and others. 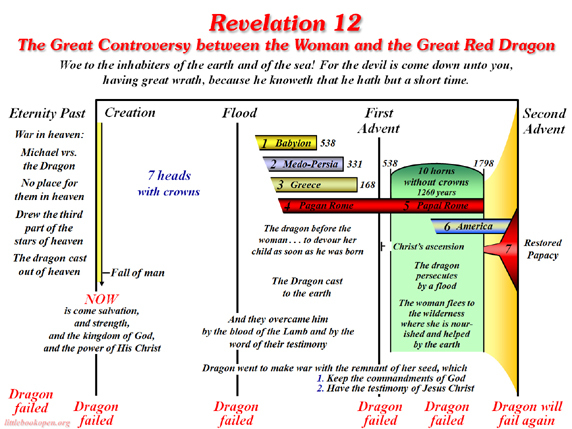 Further Study— The prophecies of Revelation 12 are to be repeated as last-day events.